Trainings by Amanda Otto, Anna Baker, Denise Dunning, Dr Fab Equizi, Gabriel Ghinea, Kerry Hanaphy, Lindsey McEnroe, Dr Raphael Mohammed and Sharon Gilshenan. 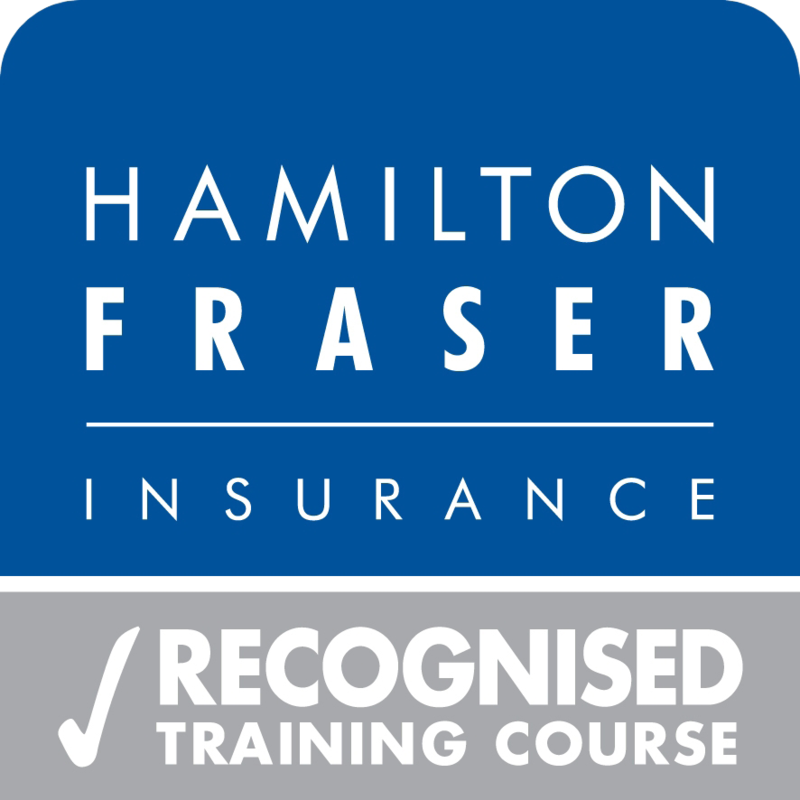 CPD awarded, certificates recognised by major insurance companies. Contact HA-Derma for log-in details. We will teach you all you need to know about Profhilo - innovative and revolutionary product for tissue bioremodeling. This treatment is an excellent add-on to your aesthetic clinic. It is becoming an increasingly popular treatment to improve the texture of the skin, create better skin tone, treat skin laxity, reduce fine lines and wrinkles. Note: While we endeavour to update below dates frequently, availability is not guaranteed. PLEASE NOTE: Practical session under the supervision of our expert trainer will cover BAP technique for face only. We will teach you all you need to know about Viscoderm Hydrobooster - innovative and revolutionary product offering targeted solutions and specific protocols. Viscoderm Hydrobooster offers a dual function; a biological process of hydration and tissue restructuring, together with a mechanical action to stretch the most superficial wrinkles. Click on below locations to reveal available dates. 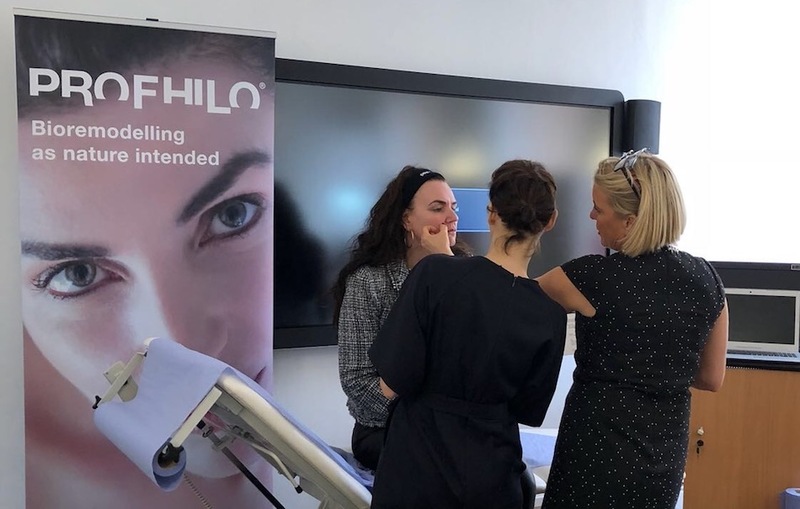 We will teach you all you need to know about Profhilo® - innovative and revolutionary product for tissue bioremodeling. 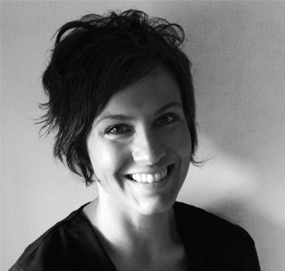 Amanda Otto practised psychology in South Africa where she specialised in Psychometrics. Upon moving to the United Kingdom she pursued the field of teaching in Psychology and Sociology at Colchester Institute. Whilst teaching she became interested in anti-ageing and opened up a clinic in Harley Street with her husband Dr Jacques Otto. She then decided she wanted a hands on approach with her clients and obtained her BSc (Hons) Adult Nursing degree. She is now pursuing her dream in specialising in anti-ageing treatments. Anna Baker is an experienced Registered Nurse and Independent Nurse Prescriber. Anna has extensive aesthetic non-surgical experience in injectable cosmetic skin treatments and specialized skin care treatments, having worked for a large national chain of clinics as well as in independent practice, in a full-time capacity. Anna has a post graduate certificate in Applied Clinical Anatomy, specialising in head and neck anatomy. To reflect her commitment to her speciality, she is a member of the Royal College of Nursing, The Association of Nurse Prescribers, The British Association Of Cosmetic Nurses, the Private Independent Aesthetic Practices Association, the British Dermatological Nursing Group, The Anatomical Society, The British Association of Clinical Anatomists and the United Kingdom Botulinum Toxin Group for Aesthetics (UKBTGA). Anna is part of the editorial board for the Journal of Aesthetic Nursing. Anna was a recent finalist and runner up for the British Journal Awards as Nursing Dermatology Nurse of Year. Anna has been “Highly Commended” at the 2015 / 2016 Aesthetic Awards in the “Aesthetic Nurse of The Year” category. Anna has also been awarded Aesthetic Nurse Practitioner of The Year at The British Journal of Nursing Awards 2016. 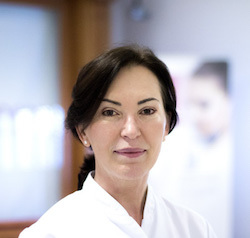 Anna is a board member the British Association of Cosmetic Nurses (BACN). 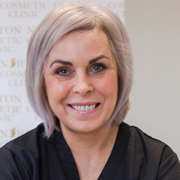 As the founder of Norton Cosmetic Clinic and with over 10 years experience in the industry, Denise is trained to an extremely advanced level. 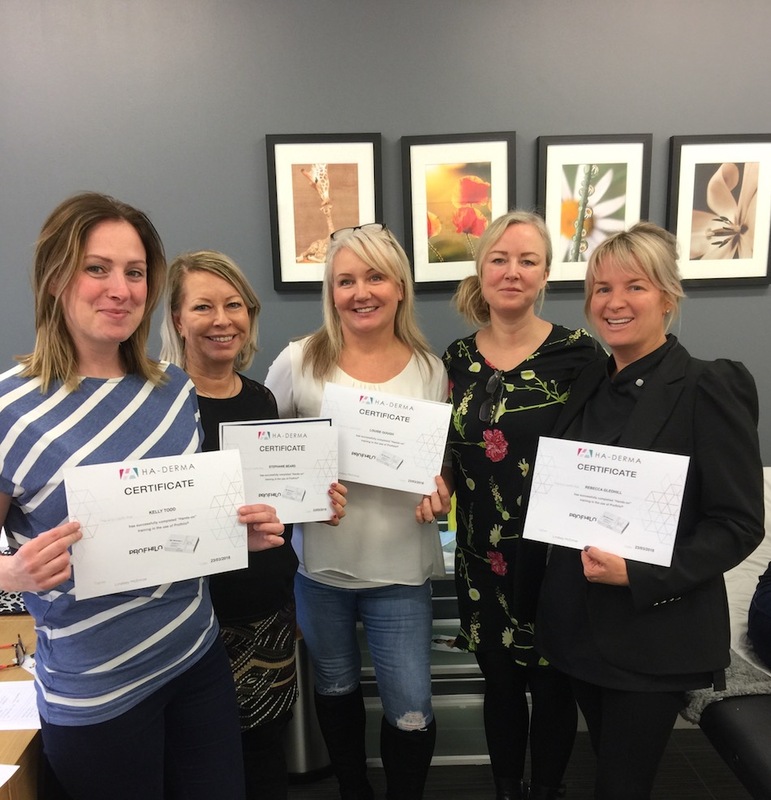 Denise recently completed her post graduate diploma certificate in non-surgical aesthetic practice from the University of Northumbria. 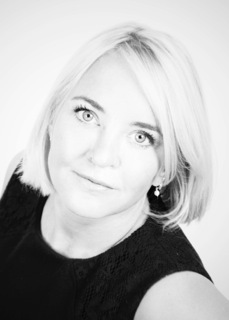 Dr Fab is a highly experienced and respected Aesthetics Practitioner and Medical Director of the Lip Doctor Clinic. He presented on facial aesthetics at MIDEC 2014 in Kuala Lumpur and is a demonstrator and trainer for various dermal filler manufacturers. 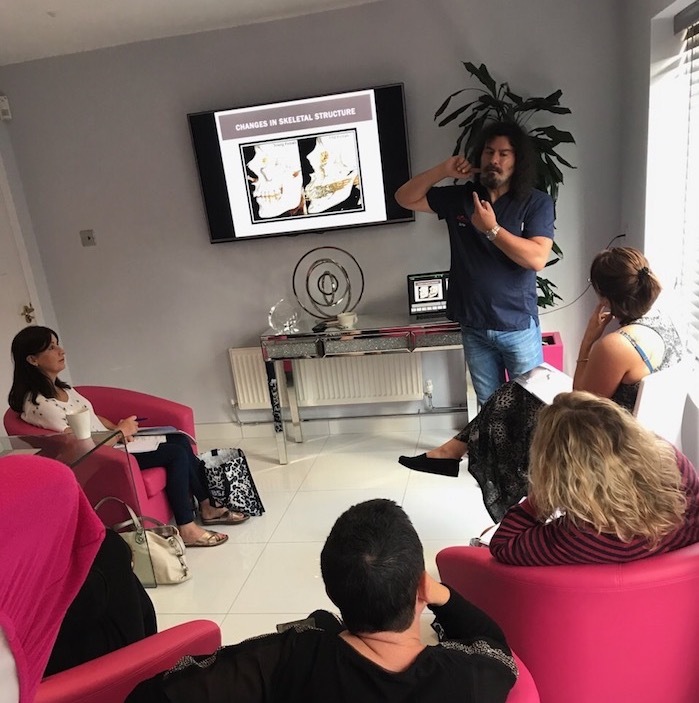 Dr Fab is a nurse mentor and DMP for V300 courses for various Universities and in 2013 was awarded the Diploma in Non-surgical Facial Aesthetics with distinction from the University of Central Lancashire. He remains a Clinical Tutor in NSFA for the University of Central Lancashire, Department of Postgraduate Medical and Dental Education. 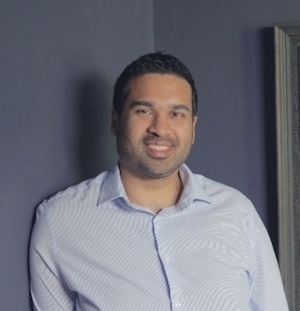 Gabriel is an advanced nurse practitioner and independent nurse prescriber with over 10 years of medical experience, specialising in aesthetic face and body non-surgical procedures - mainly skin rejuvenation treatments using hyaluronic acid dermal fillers, skinboosters and mesotherapy. Member of NMC, RCN, as well as WOSIAM. He has also worked in the NHS and private sector, managing different units from acute surgical to transplantation and cosmetic. 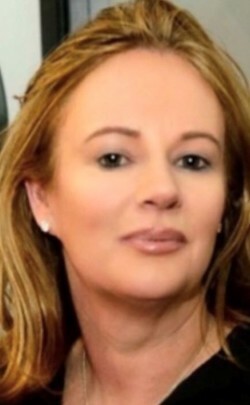 Known across Ireland as “The Lip Queen”, Kerry has built an incredible reputation as Ireland’s finest aesthetic nurse. As a specialist in dermal fillers and an expert in lips, Kerry has spent decades pioneering facial treatments and delivery incredible results. A highly regarded industry expert, Kerry is credited with introducing the most innovative, effective treatments to Ireland. Well respected as both an aesthetic nurse and an educator, Kerry trains medical professionals on behalf of HA-Derma in Ireland. Lindsey McEnroe is a Senior Advanced Aesthetic Nurse and the Clinical Director at True You Skin Clinics. She was nominated as Business Woman of the Year in 2016 and highly commended at the Nurse Practitioner Safety in Beauty Awards in London the very same year. Her work in aesthetics and safe beauty practices made her an excellent candidate to be chosen as a mentor for the Masters in Aesthetics Course Level 7 by Northumbria University. 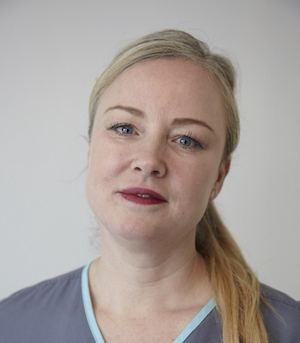 She qualified as a nurse from Leeds University in 1996 and was chosen as the Rising Star in Aesthetics at the 2011 National Award Ceremony in London out of 16,000 applicants. Along with her clinic responsibilities she also works as a trainer for HA-Derma. Born on the island of Trinidad, Dr Raphael harboured a fascination for medicine and subsequently moved to England to pursue his studies at Leeds University Medical school whilst also completing an intercalated degree in Pharmacology and a Diploma in Practical Dermatology from Cardiff University in 2008. He was the Clinical Lead for Dermatology at Gateshead PBC and helped establish community based dermatology clinics and after this he worked for the dermatology department at the Royal Victoria Infirmary in Newcastle. As part of this service he became involved in teaching programmes for medical practitioners. 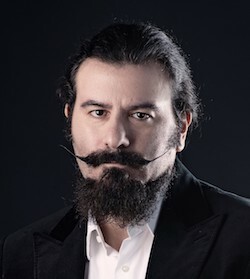 Respected by his peers and patients alike for his clinical expertise, person centred care and ethical approach, the Raphael “experience” tends to leave an indelible imprint. Sharon Gilshenan, a highly reputable aesthetic prescribing nurse has vast experience in advanced facial injectable treatments. Her specialty is in volumisation techniques and facial sculpting but with a gentle and subtle approach. Sharon has great skill at discreet treatments such as rejuvenating lip as well as offering a wide range of anti-ageing injectable procedures. 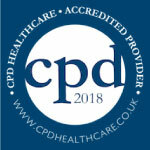 Besides being based in Cobham and Knightsbridge, Sharon also works as aesthetic trainer, teaching advanced aesthetic techniques to practitioners throughout the UK and Ireland. 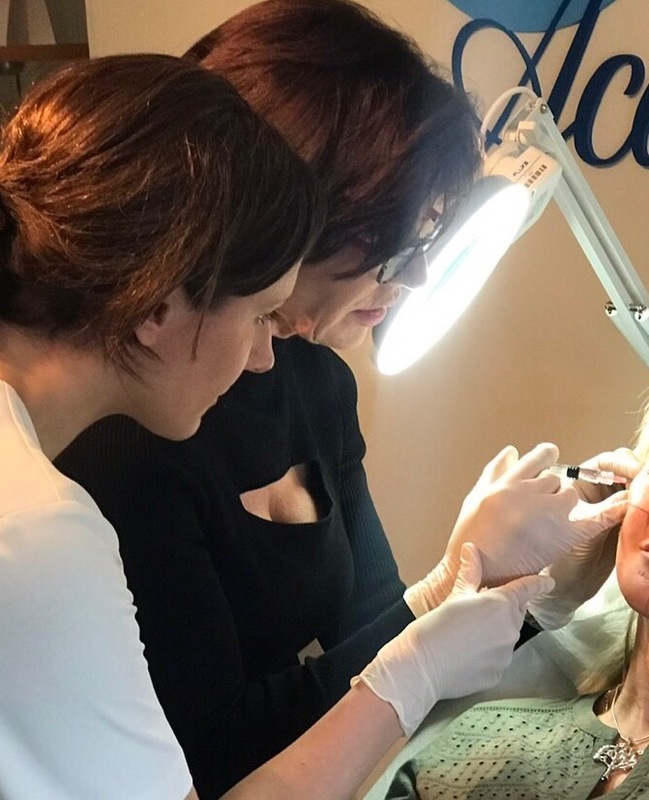 She has gained extensive knowledge and experience and is an advocate for standards of excellence and is a member of the British Association of Cosmetic Nurses. Sharon is an Ambassador and fundraiser for Facing the Future visiting schools to educate on facial disfigurement. WE HAVE HAD SOME FANTASTIC FEEDBACK. WHAT DO OUR ATTENDEES SAY? “Very good course. Lots of tips and opportunity to practice which was excellent. I feel more confident and will change my own practice as a result." Expert knowledge of facial anatomy will set you apart from other injectors. Please contact us for a full agenda. During this hands-on workshop you will perform standard and advanced procedures. The workshop is intended for intermediate and experienced practitioners.